People wait inside the Harney County Community Center before a news conference Wednesday in Burns. Ore., regarding the standoff at the Malheur National Wildlife Refuge. 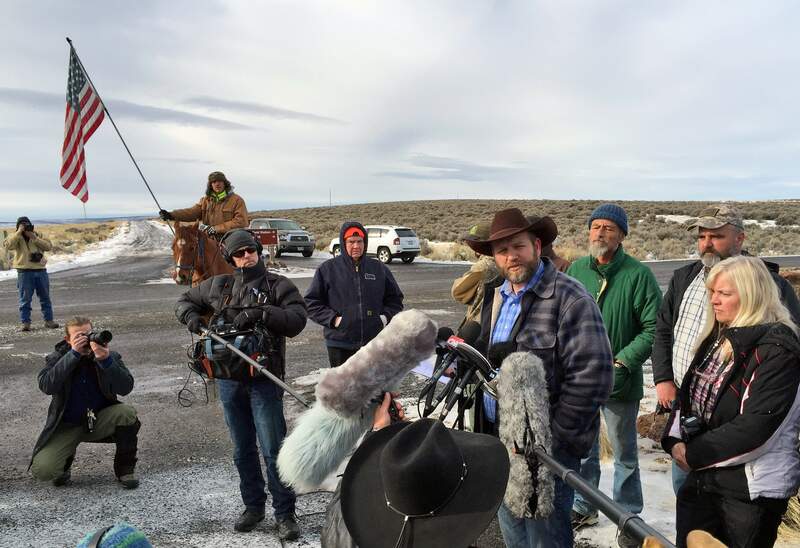 On Tuesday, authorities arrested the leaders of the armed group who had been occupying the refuge headquarters to protest federal land policies. Ammon Bundy speaks to reporters at the Malheur National Wildlife Refuge in Burns, Ore., on Thursday. Bundy is the leader of a small, armed group that has been occupying the remote refuge in Oregon since Jan. 2 to protest federal land policies. A public lands bill in the Colorado Legislature Wednesday could serve as a proxy battle in the war over public lands. DENVER – A vote on a measure that would create a Public Lands Day in Colorado was delayed Wednesday, as the bill’s sponsor works to garner support. Senate Bill 21 was considered by a Senate committee, as a war over public lands rages across the nation, with much of the attention placed on a standoff in Oregon. The measure would designate the fourth Monday of March each year for Coloradans to get outside and show their appreciation for the state’s vast amount of state and federal public lands. “I believe public lands and access to them represent the most noble democratic ideals that this country has to offer,” said the bill’s sponsor, Sen. Kerry Donovan, D-Vail. The legislation comes as the nation watches the situation in Oregon, where a group has occupied a federal wildlife refuge headquarters, protesting federal land policies. The weeks-long event took a turn this week, when protest leader Ammon Bundy was arrested on Tuesday and another occupier was killed after a confrontation with authorities. Several other members of the rebellion are being held by authorities, and on Wednesday law enforcement agents surrounded the nature preserve. The public lands issue has intensified in Colorado in recent years, with previous efforts in the Legislature – led by Republicans – to at least study transferring federal public lands to the state’s authority. Those attempts failed, including a measure last year that would have only clarified state jurisdiction over federal lands. The attempts have been part of a movement known as the new “Sagebrush Rebellion,” a resurgence of the effort in the 1970s and ’80s to force the federal government to give more control of government-owned Western lands to state and local authorities. Critics of the movement say it is unrealistic to transfer federal lands to the states to manage, pointing to massive costs associated with overseeing millions of acres of federal land. Conservationists, sportsmen and some business owners fear that a transfer of lands would result in the closure of prized public spaces. Those on the other side of the argument point to an over-reach by the federal government, suggesting that federal control leads to burdensome regulations that hurt farmers and ranchers. The standoff in Oregon stemmed from two ranchers jailed on federal arson charges after they tried to mitigate wildfire risk. The challenge with Donovan’s bill will be to convince Republicans, who control the committee, to back the legislation. 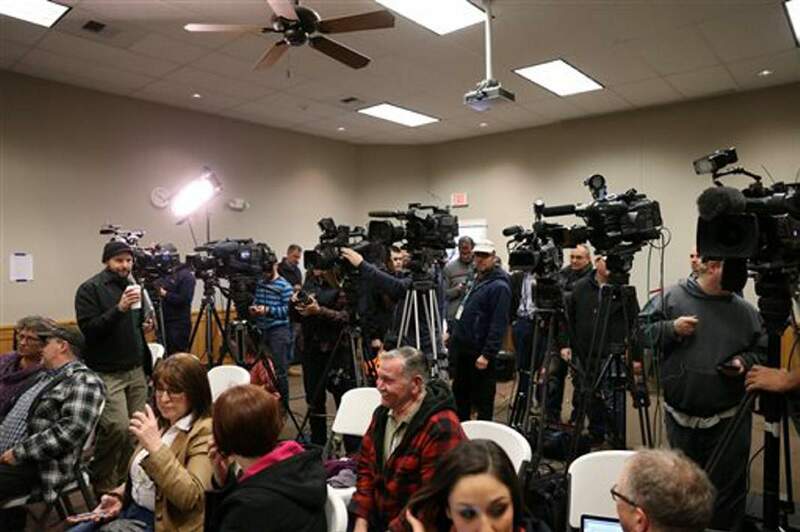 Proponents fear that the vote was delayed in an effort to kill the bill. But Republicans expressed some desire to work on a compromise.